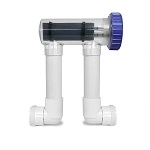 FAQ: What size system is right for me? 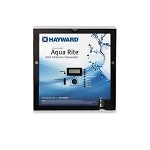 Hayward (also known as Goldline) manufactures the Aqua Rite model of salt chlorinators under several brand names, including Swimpure, Blue Essence, Blue Haven and Mineral Springs. 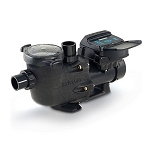 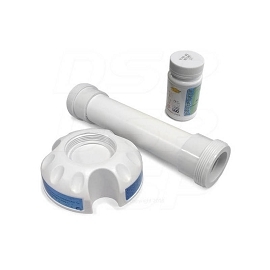 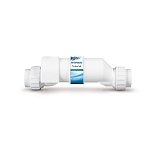 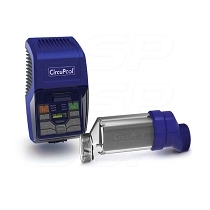 We carry all sizes ranging in power from 0.6 to 1.4 pounds per day of chlorine output. 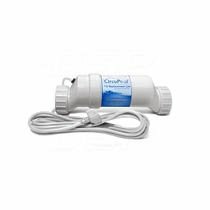 Aqua Rite Electronic Chlorine Generators are standard equipment on most new pools and are the largest selling system in the world. 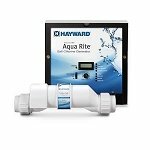 They automatically produce pure chlorine every day while the pool is being filtered and distribute it evenly throughout the pool via the return jets.